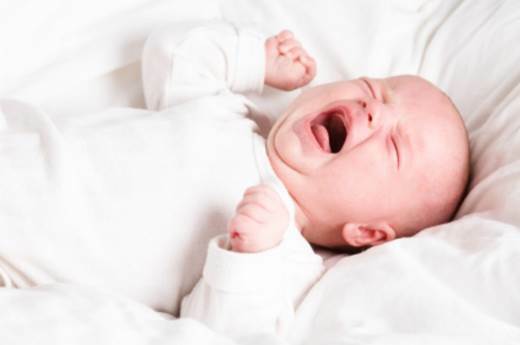 There are some popular mistakes when treating baby’s fever that many parents don’t know. The story’s from a woman whose 3-year-old son almost died. Her son’s just been through a big fever; he was brought to hospital in critical condition. When she found that her son’s temperature was high, she put ice in a plastic bag, covered it with a towel and placed it near her baby armpits. After a while, her son started losing consciousness. Immediately, she took her son to hospital. The doctor said that her son had a cold burn, which dues to her wrong fever treating. Fortunately, the boy received timely cure. The woman was very thankful, but at the same time, she regretted about what she had done to her son. Not every parent knows how to take right care of babies having fevers. Fever is a popular sickness to children, so it’s important to take care of and monitor babies that have fever. However, many parents still lack knowledge about dealing with baby’s fevers, so they put their children’s life in danger; and in the worse situation, the children can die. 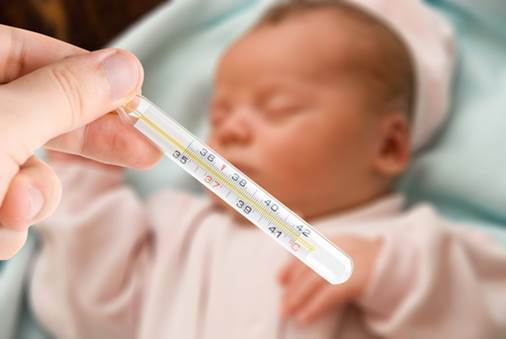 When children have fevers, parents usually don’t measure the children’s temperature but confirm the stress by feelings; they consider that if the baby’s forehead seems to be hot, it have a fever. Some others think that when children’s temperature is 37 degrees Celsius, they must have fevers. On the other side, there are 9% of women thinking that 38.5 degrees Celsius is the fever’s temperature. Practically, those behaviors and concepts of parents are totally wrong. Fever is a physical state that the body temperature increases over the standard number. Children are considered to have fevers when their temperature of the mouth is 37.5 degrees Celsius, of the armpits is 37.2 degrees Celsius. Many parents lack knowledge about taking care of babies having fever. This is the dangerous fever treatment but used by many parents. 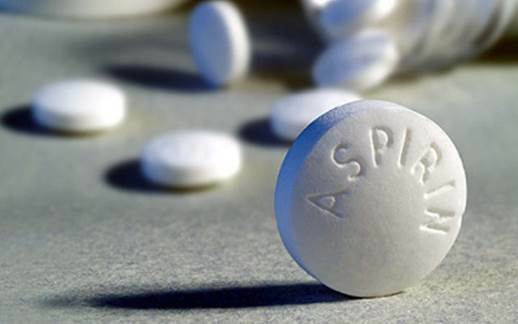 Aspirin is a common pill that has the ability to cool down and reduce pain. However, this pill has many side effects. At children, especially the young ones, their gastric mucosa is still on growing and normally has the low lever of acid secretion. At the same time, acidic aspirin will directly increase acid in stomach causing gnawing and discomfort, destroy epithelial cells and increase the risk of having stomach ulcers in children. Respiratory apparatuses of children are very sensitive and aspirin can cause bad effects on them (to the infant and young children, aspirin can cause respiratory decrease or failure, especially, cause bronchospasm which can make the asthma worse in children who have this disease). Children such as the infant have weak filter function and poor medicine excretion through renal tube while aspirin is excreted mainly by kidneys, so if children use aspirin, the slow excretion can poison them. Although aspirin has the ability to cool down the fever, it has many side effects. Some moms wanted to cool the fever, put ice in 2 plastic bags and covered them with towels, then place them near the baby’s armpits. 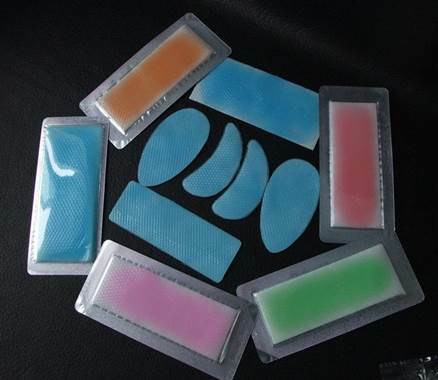 This is not a good treatment because applying cold compress to babies has been prohibited because of the possibilities of causing cold burns and respiratory failure in children. If you want to apply cold compress to babies, you must apply it to nearly their whole body. Besides, as soon as finding out that their babies have fever, moms take cold patches and apply them on the children’s forehead. The true is this is a wrong treatment because fever patches are cold patches. If you want to apply cold compress to babies, you must apply it nearly to their whole body. This treatment is difficult to do, especially in cold season. Meanwhile, the World Health Organization has recommended you not to apply cold compress to cool down the baby’s fever. There’re many moms letting children take medicine without the doctor’s prescription. Taking medicines arbitrarily without prescription is very dangerous to children and able to harm their health. Applying your treatment or following other children’s prescription can lead to severe complications in children, such as severe pneumonia and bronchiolitis caused by virus. Those children have longer and more expensive treating process because they have to use expensive medicines. Don’t let your babies take pills arbitrarily. Additionally, wiping babies with alcohol, covering the babies too carefully and doing the Gua Sha…are not recommended. Many parents mistake that that is the good treatment for children having fever. On the contrary, doctors think that is the dangerous treatment which can make the baby’s illness worse. · The time between every time taking pills is 4-6 hours. 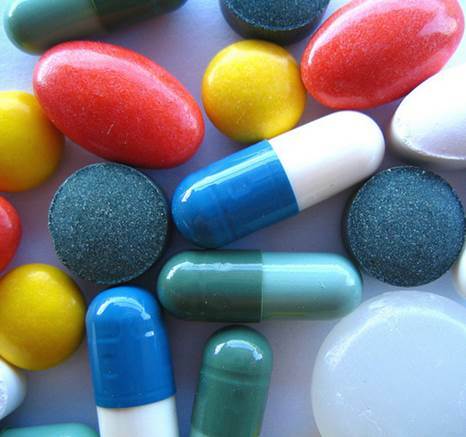 · According to a study, there’s about one third of moms let their children take antipyretics when the temperature is over 38.5 degrees Celsius; nearly a half of people who are asked let their children take pills after every 4-6 hours.